I cannot believe this plaid poncho is still in stock. It is only $38 and definitely on trend. Each time I wear it - everyone loves it! 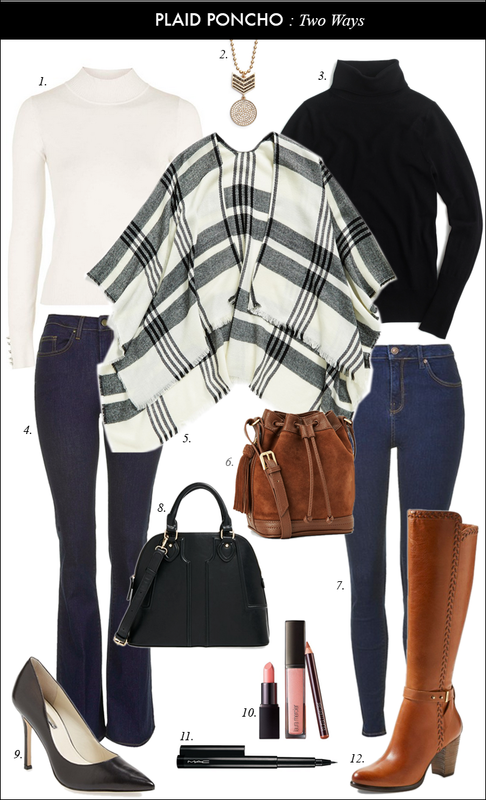 I have styled two looks - one with flare denim, and the other with riding boots. LOVE hte plaid poncho! Combining two of my favorite trends into one piece! I am on the hunt for a good poncho! Love this and both ways you styled it. I would recommend this one! Thanks, Amy Ann. 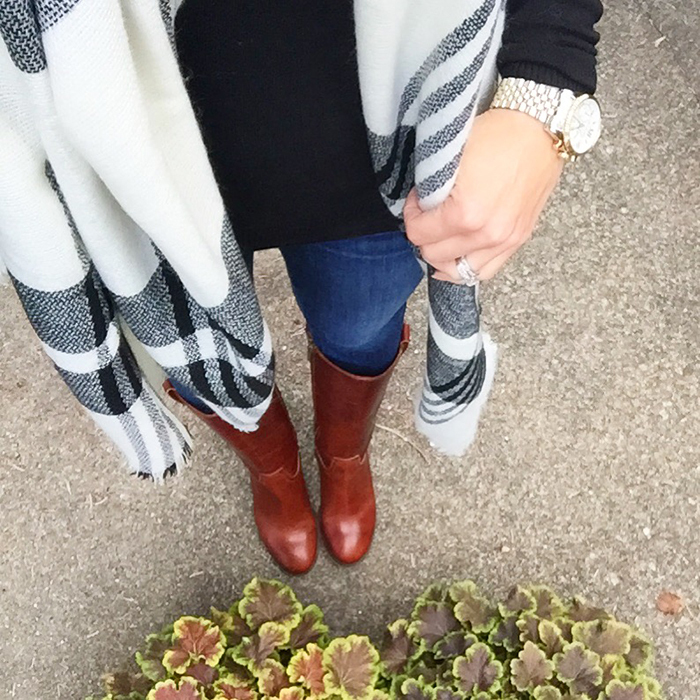 This is such a chic poncho, loved it as soon as I saw it on your IG!! Both of these looks are fall perfection. thanks for sharing with Vis Monday! You can't beat a great poncho! Love both of these looks!! Thanks, Anna. 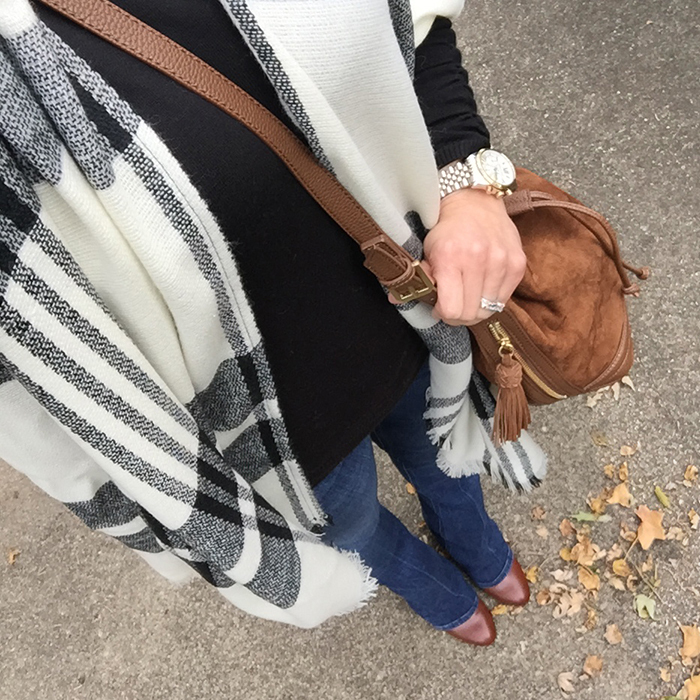 I broke down and got both the brown and black AT bucket bag - and I love it! It is small, yet big enough carry everything - and you can't beat the price. Oh, I love those tall Ugg boots! Ponchos look so good on everyone else but me! Love how your styled this two ways! I love this plaid poncho style but am not so keen on wearing it since it covers all of my petite body and makes me look like a short mushroom. I love how your poncho is styled both ways. I can't get enough of ponchos myself. love the poncho! so chic and fall perfect! I think I love that bag! How is the interior? Roomy, too deep? I am very tempted to get the ruby colored considering the price point!